Roughly 50% of all Google searches are now performed on a mobile device. Perhaps in response to the growth of the mobile searching market Google has decided to switch to a mobile-first indexing system, making it more critical than ever for businesses and individuals looking to rank highly to have a quality mobile site. 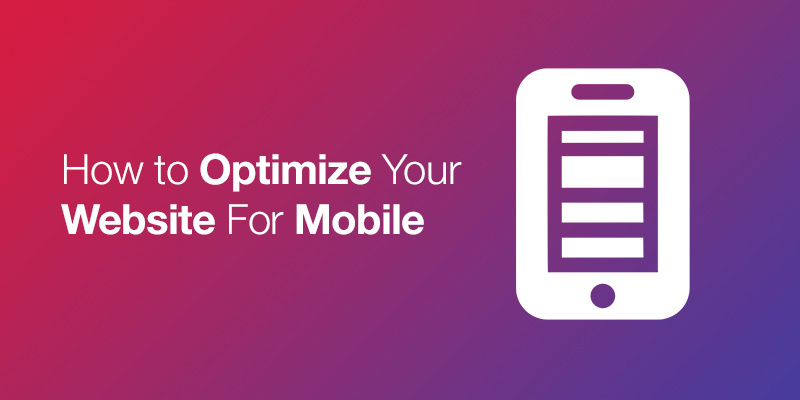 Here are the three main ways to optimize your site for mobile. It’s no longer practical merely to make slight alterations to your desktop site to implement it on mobile. You must have mobile devices in mind when designing your website from the ground up to make the user experience as seamless and profitable as possible. Thoroughly review your current mobile site and make notes on how easy or difficult it is to navigate, how clear the menus are, and how well-suited to a smaller screen it is. The increase in the number of people using mobile devices to search the web shows no sign of slowing down so it is essential to make your site’s user experience the best it possibly can be. Ask family and friends, or even pay strangers, to test out the mobile experience and to give honest feedback on the ease of use and clarity of design. Listen to the advice you receive and be bold and confident in making changes wherever necessary. A website’s copy is integral to its performance in search engine rankings. On mobile devices, your text needs to be exceptionally streamlined and efficient to convey all the information you need to get across while avoiding cluttering the page and confusing the reader. The size of the text, the font, and the formatting are all vital components of clear and practical mobile design. A large proportion of mobile searches are in the form of questions so frame your content in a way that would rank highly in a search that begins with inquisitive terms like who, what and why. By tailoring the content of your site to mobile users, you stand a higher chance of ranking higher in search results and driving more traffic to your website. Mobile users are much less forgiving of long loading times and unresponsive links than their desktop counterparts. Test your mobile site; if it’s slow and sluggish, you could be missing out on a significant amount of traffic. From July 2018, Google will be including page loading speeds in it’s ranking calculations, so it’s vital to have a speedy site, not just for user retention but also for search engine optimization. A good web developer can make the difference between an efficient and responsive mobile site and a slow, inefficient one. Paying more money for the right developer will undoubtedly make you more money in the long run as the mobile market share continues to grow. Quicker response times encourage users to navigate freely throughout the site and facilitate a more significant number of purchases and interactions which will boost your website’s potential exponentially. Whatever your goal when it comes to web development and design, having a well-made mobile site is a prerequisite for any modern and successful business. An efficient mobile site is an excellent way to increase lead generation, maximize conversion rates and minimize abandoned visits. A desktop site alone is no longer sufficient for success online and, as the digital landscape develops, so must you.